Lot # 24 offers expansive views of town and the ocean from it’s elevated perch within the Pacific Marlin residential development. The total area of lot #24 is 1,166 square meters, an ideal size for the construction of the tropical get-a-way of your dreams! This lot boasts flat terrain and expansive ocean views; as well as views of town and the bay of San Juan del Sur. Located a quick 7-minute drive from the heart of San Juan Del Sur, this lots sits right underneath the iconic statue of El Cristo de la Misericordia and overlooks San Juan Del Sur’s beautiful horseshoe-shaped bay. Pacific Marlin is located on the most northern point of the bay of San Juan del Sur, providing epic views of town and paved roads right to your doorstep. Pacific Marlin has long attracted buyers looking to build their dream homes in this secure and luxurious community. The development has 24/7 gated security, which guarantees privacy and tranquility for homeowners as they relax and enjoy the gorgeous sunsets on the horizon. Paved roads throughout the development as well as numerous dedicated wells for uninterrupted water provides a level of comfort for owners and guest alike. The chance to own property in this exclusive development only comes around every so often. Do not miss this opportunity! 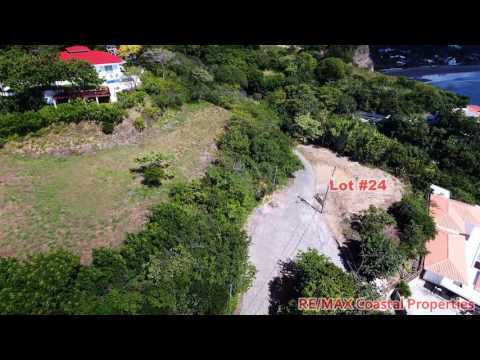 Come and experience these expansive town and ocean views from this beautiful lot today!